Chuck Klosterman. Photo by Collapse the Light. From the Toronto Review of Books. Coach House Books is celebrating the release of a new collection by bpNichol, entitled a book of variations: love-zygal-art facts. The night will be hosted by the book’s editor, Stephen Voyce, and features readings by Margaret Christakos (What Stirs, Multitudes) and Paul Dutton (Aurealities), plus a short-film screening by Justin Stephenson. 7PM. June 6. No One Writes to the Colonel. Free. Renowned bookseller David Mason launches his memoir, The Pope’s Bookbinder (Biblioasis), in which he shares his unvarnished opinions about his trade. Mason’s devotion to literature began with bathtub reading sessions at age 11, followed him to Paris as a young man, and even brought him a bit of gilding work for Pope John XXIII. 7PM. June 6. Ben McNally Books. Free. Book Summit 2013 is Woodstock for book professionals. On the bill are workshops, interviews, conferences, and talks by leading authors and publishers about pressing industry topics like e-books and young adult fiction. 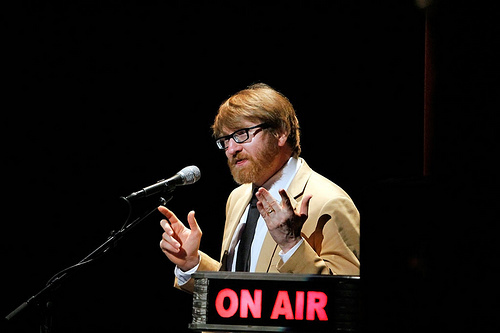 Chuck Klosterman (Fargo Rock City) is this year’s keynote speaker. 8:00AM. June 20. Fleck Dance Theatre. $92.75-$166.25. NXNE ART screens a selection of paintings, clips, and visual poetry every 10 minutes on TTC Subway platform screens. Among the themes explored are urbanity, war, and the inbetweenness of domesticity and the wild. June 10-16. Free. The Griffin Poetry Prize Shortlist Reading features poetry performed by Brenda Shaughnessy (Our Andromeda), Jennifer Maiden (Liquid Nitrogen), James Pollock (Sailing to Babylon), and more. 7:30PM. June 12. Koerner Hall. $10-$33. Heritage Toronto is leading a guided walk entitled Journalists and Editors in 19th Century Toronto. Explore the city’s journalistic past of friendships and foes from 1826 to 1892 spearheaded by Toronto’s first mayor William Lyon Mackenzie. 10:00AM. June 15. 160 Frederick Street. Donations. Nikki Yanofsky. Photo by Barry Harris. Toronto’s Downton Abbey is a guided tour of Spadina Museum. It provides insight into the lives of servants, cooks, counts, and countesses in the lavish 1920s. Thursdays at 7:30PM and Saturdays at 2:30PM. Reservations recommended: 416-392-6910. Regular Admission. This summer’s Toronto Jazz Festival boasts a lauded group of headliners that touch on every point of the jazz-blues spectrum. Returning favorites include Trombone Shorty and Montreal’s Nikki Yanofsky. The Robert Glasper Experiment plays a special intimate set at The Horseshoe Tavern. June 20-29. Various Venues. Some events free, $ varies by concert. Luminato 2013 is a multidisciplinary festival formed to stoke Toronto’s creativity. Craftspeople of literature (Sam Sutherland), theatre (Marina Abramovic), music (Joni Mitchell, Serena Ryder), dance, magic, and the visual arts all set up shop in the city to share the lives their passions gave them. June 14-23. Various Venues. Most events free. As part of Dundas West Fest, the print culture champions at The Monkey’s Paw are holding their inaugural Collage Fest, a competition to create pieces of original art from books, magazines, and pamphlets that would otherwise be recycled and forgotten. 11AM-5PM. June 8. The Monkey’s Paw. All materials free.